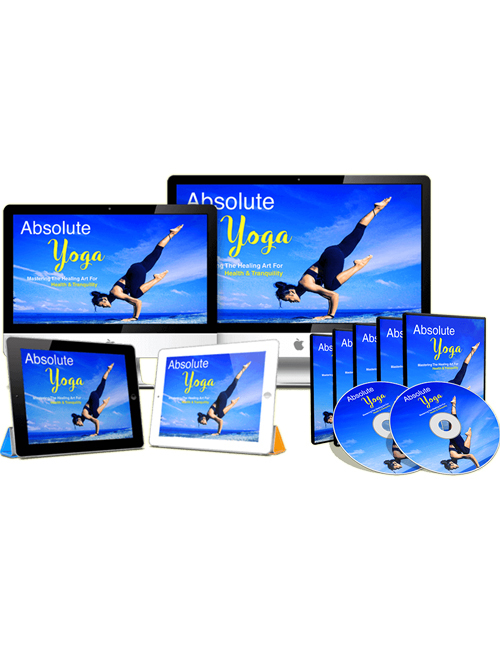 Absolute Yoga – Mastering The Healing Art For Health And Tranquility is a comprehensive 12 part video course that will help you to achieve great health, mindfulness and spiritual enlightenment. We all want to be healthy and happy. We all want to have lots of money, lots of friends and be popular. Unfortunately only the lucky few can have all of those at once. We may have one great thing but be lacking in other areas. We might have great health but lacking friends or money. Or we may have money and friends but poor health. If we can have it all, wouldn’t that be amazing? Even if we can’t have it all but have the things that truly matter including great health, money and decent relationships, wouldn’t that suffice? In this video upgrade to the Absolute Yoga Ebook, you’re going to learn how you can improve in every aspect of your life, be it mentally, physically, and spiritually. You will discover how to get started in your journey towards becoming a better you. You’ll learn how to improve your strength and flexibility without a gym membership, how to incorporate meditation into your day, improve your posture and feeling great about yourself which others will take notice of, boost your immune system, achieve mental calmness and peace of mind, get solid sleep so you can feel refreshed every morning, boost your self esteem, attain full focus naturally and much more. You will also learn the science of yoga, the connection between your mind and body, various yoga exercises, and much more. When you look good, you feel good. When you feel good, you have far more confidence. And when everything is in place, you’re in perfect balance which gives you more motivation and focus to go out and achieve anything you want in life. This is a quality download that you need to get a hold of right now. Absolute Yoga is your calling.